Tastes Like Sunshine at Museum of Brisbane. Elizabeth Willing. Photograph by David Kelly. Tastes Like Sunshine at Museum of Brisbane. Artist Sean Rafferty. Photograph by David Kelly. Tastes Like Sunshine at Museum of Brisbane. 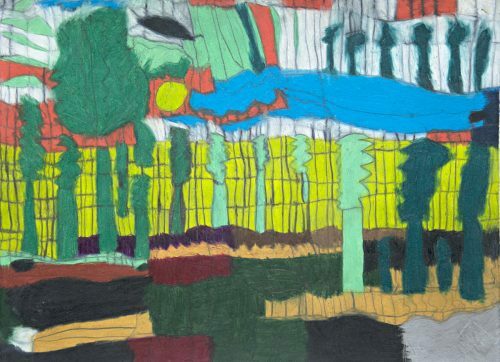 Artist Carol McGregor. Photograph by Joanna Theis. 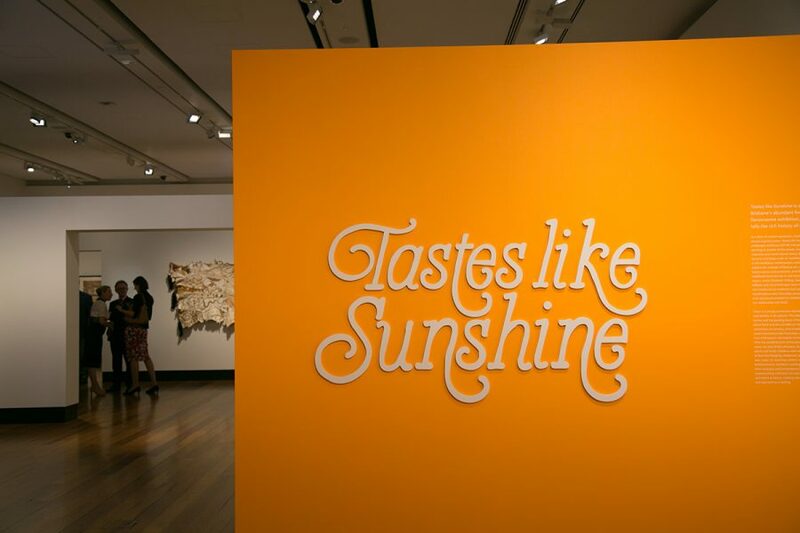 Tastes Like Sunshine at Museum of Brisbane, installation view. Photograph by Joanna Theis. Contemporary art speaks to the tempo of the times, and food is at the heart of current debates about sustainability, ethics and environmental change. 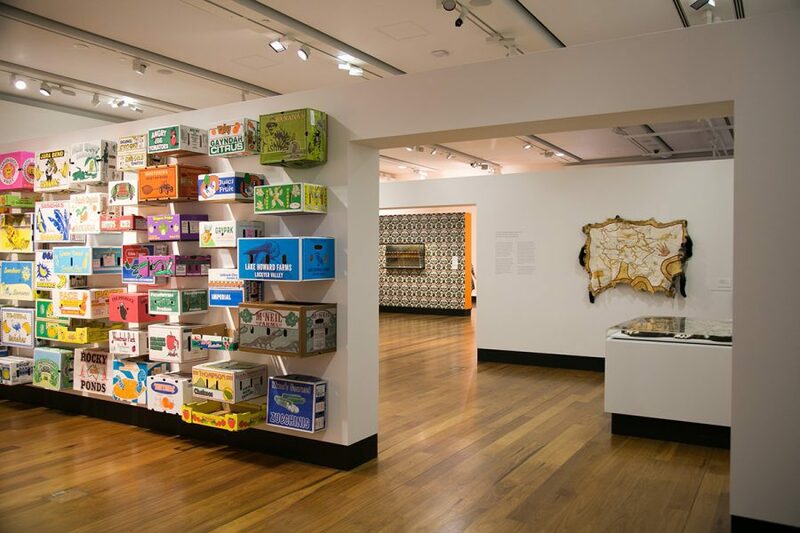 For Tastes like Sunshine at the Museum of Brisbane, three contemporary artists, Elizabeth Willing, Carol McGregor and Sean Rafferty, were commissioned to respond to the history of food production, treatment and consumption in Brisbane, from colonial settlement to the present day. 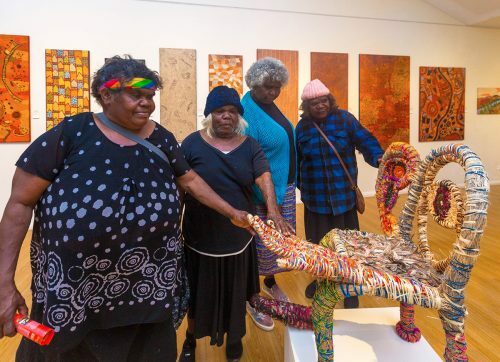 This core group is extended by other artists whose work delves into Brisbane’s social history. 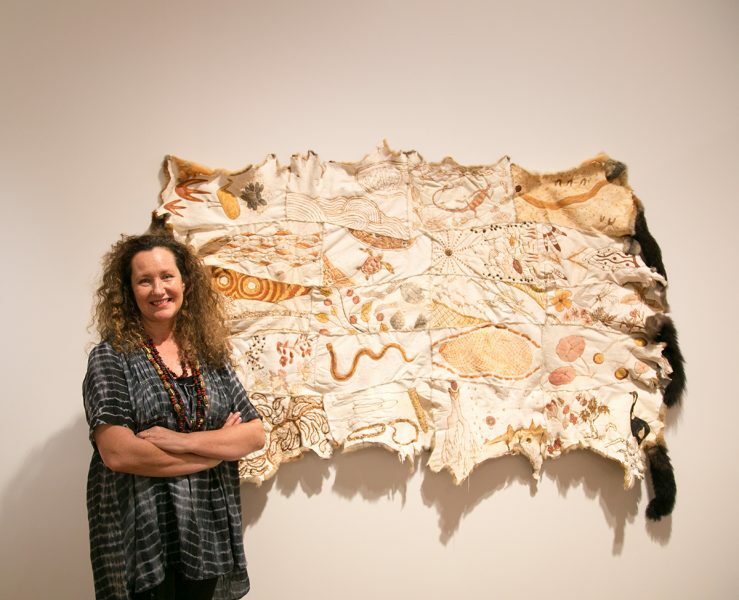 Elizabeth Willing’s artworks are made of and about food, its meaning and cultural importance. The exhibition entrance is dominated by her wallpaper design, Strawberry Thief (after William Morris), 2017. The reference to Morris evokes a heritage aesthetic merged with local Indigenous foods: macadamia nut, bunya nut, lilly pilly, finger lime and Moreton Bay bug. Strawberry Thief reflects the changing culture of food in the region in the last 200 years, and it echoes the layering of settler and immigrant histories over the age-old Indigenous culture of this area. 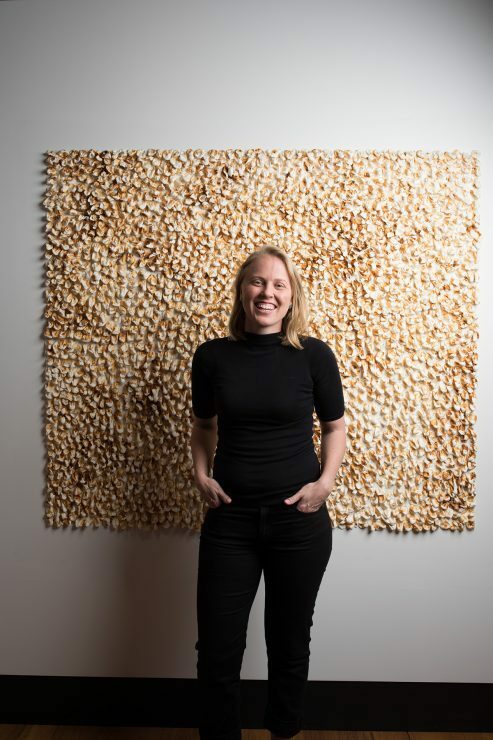 Willing’s Untitled (toasted marshmallows), 2017, looks from a distance like a stippled abstract or swarming bees, but up close its marshmallow construction droops sweetly. Her Dark, 2017, is a life-sized wall drawing of sugar cane made from dark chocolate, in which the medium speaks directly to its subject. She also evokes the ubiquity of sugar with collaged images of strawberry themed desserts: Passed Down: an (un)familiar landscape (strawberry) and Passed Down: (citrus). In this sense, Willing’s interest in art made from food interrogates the current psycho-social attitudes to food, our self consciousness about its consumption, the way in which it engages our senses, and the level of control we exercise over its abundance. 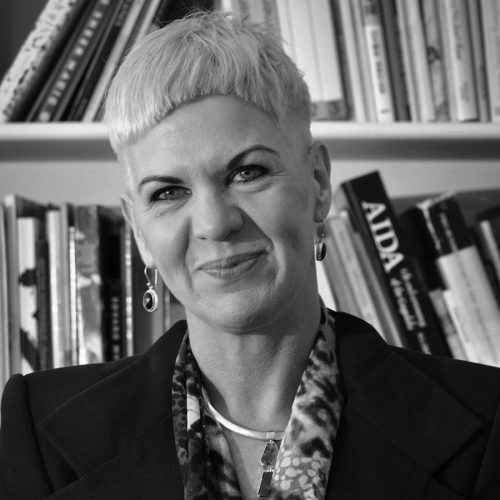 These ideas extend into displays in adjacent rooms which look at the move toward veganism, attitudinal shifts, the sustainability of food, and the changing imprint of colonising culture on Indigenous people. Here Jo Grant’s photographs document some of these changes in the markets and gardens created by Brisbane’s migrant residents. These ideas extend into displays in adjacent rooms which look at the move toward veganism, attitudinal shifts, the sustainability of food, and the changing imprint of colonising culture on Indigenous people. Carol McGregor picks up the theme of Indigenous dispossession with a possum skin cloak that she has created as a map of south-east Queensland’s Indigenous landscapes. Embroidered with motifs, it notes the schism that settler culture placed over Indigenous traditions. Possums are now a protected species. Their previous holistic use (meat to eat and skins to warm) has been superseded. These necessities are now imported from global sources, working against self sufficiency and sustainability. 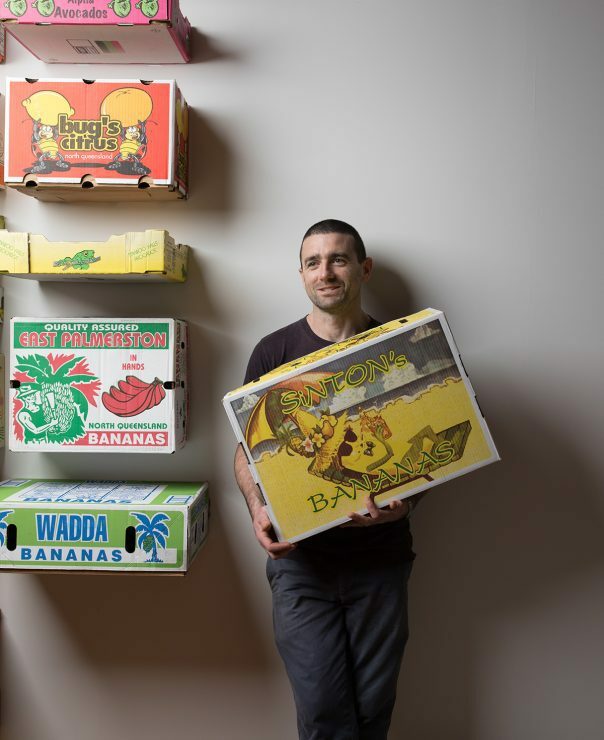 In the last room Sean Rafferty has created an installation using produce cartons collected, along with the stories of farmers and providores, from Brisbane’s markets. 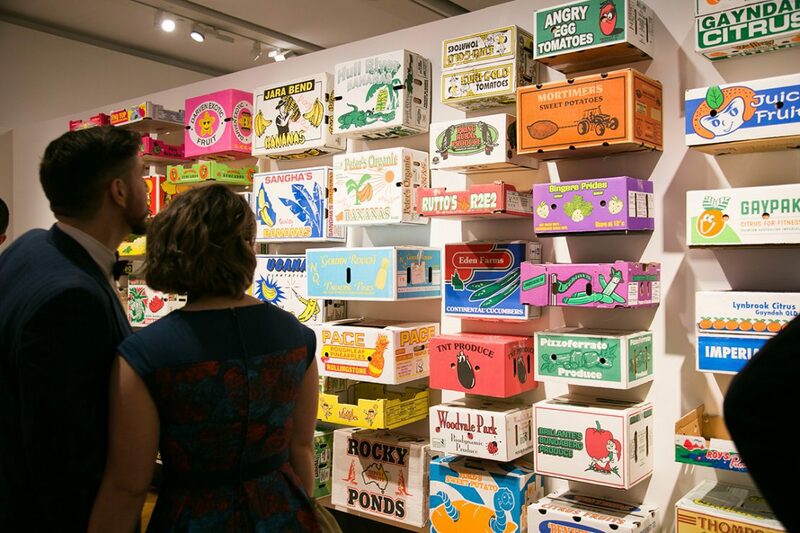 Produce, moved in coloured boxes with striking graphics from farms to urban centres, is also the subject of a diorama made from cartons which describes the story of modern food production and sources. His work highlights the stories these boxes tell. Tastes Like Sunshine speaks to our changing relationship with food, the social attitudes which experiment with its use, the fashion which directs the way it is promoted and consumed, and its central importance as sustenance. In some ways it is a reminder that art, like food, has become a highly consumable commodity in a contemporary market. 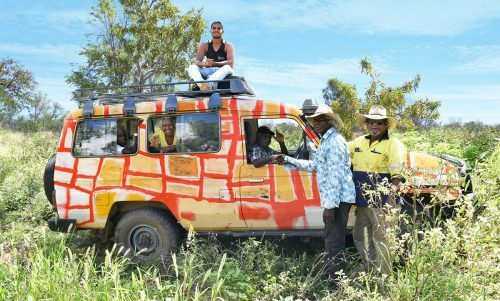 Tradition and innovation are integral to Desert Mob, a festival that showcases Indigenous talent.